Ink Babes: Hey Jay! Welcome to the Author Spotlight! Thrilled you’re joining us today. The Ink Babes had a blast on your radio show yesterday – what a delicious pleasure to be turning the tables on such a cool guy! Ink Babes: That’s great! Thanks! We’re going to check it out, too. Say, why don’t we begin the interview with you telling us a little bit about yourself? JF: Sure. I live in Northern Ireland with my wife, Carole, and our two boys, Mackenzie and Nathaniel. I.T. pays the bills but I’m also a writer, martial artist, and sketcher. I founded ‘With Painted Words’ – www.withpaintedwords.com – a creative writing site with inspiration from monthly image prompts, and ‘The WiFiles’ – www.thewifiles.com – an online speculative fiction magazine, published weekly a few years ago and have just launched Four Parts Press – www.fourpartspress.com – an independent publisher. Ink Babes: That’s impressive! 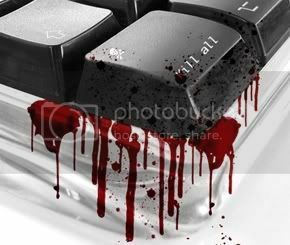 With all that creativity surrounding you, what was it that sparked the idea for your Bleeding Ink tale? JF: A painting of an old man propped up against a bar. In my head, it couldn’t simply be an old man having a drink, there HAD to be more to it. The story kind wrote itself; first came the end – where the demon was revealed, then what he was doing, then, finally, who he was doing it to. The title had a two-fold meaning – seven-year itch, and the Devil’s nickname. Ink Babes: Haha! Love it!! Image prompts inspire some mighty fine and frightful stories. I hope you don’t mind, but we love to peek inside the heads of our authors by asking: Do you have a fear of anything…unusual? JF: Completely, totally and utterly terrified of spiders. That may not sound unusual, as arachnophobia is one of the most common ones around, so I’m told, but I’ve jumped out of a moving car because a spider was inside and just seeing one – even on TV – can lead to violent nightmares where I sleep walk and sleep fight. It isn’t irrational, though – spiders ARE evil incarnate and trying to kill me! Ink Babes: Wow! We’ve never heard of anyone going to that extreme to escape those eight-legged nasties! Unusual, indeed! As a martial-artist, you probably sprung right up and landed on your feet! So, what do you do when you’re not writing, hosting radio talk shows, and jumping out of moving cars? JF: I’m an IT Services Manager with a specialism in information security. I teach two classes of Kung-Fu a week. I run two online magazines and I’ve just started a publishing company. I work with the Northern Ireland Rare Disease Partnership, and run their social-media stuff, and involved with the Arts & Disability Forum Ireland, as I suffer from genetic mutations (without the superpowers). I’m a school Governor. I’m a full-time husband and father. Occasionally I sleep. Ink Babes: In our corner of the world, we call that SUPERDAD! What a role model for Mackenzie and Nathaniel. You’re wife must be proud. What is your favourite theme/genre to write about? JF: Anything non-mundane. The broad genre is definitely speculative fiction and I do like to stay close to reality while taking a little detour in the fantastical. I have a pure fantasy novella published, and some short stories that are sci-fi and horror, including a zombie romance. The novel is supernatural/horror too. So, yeah, spec-fic. In terms of themes I tend to enjoy emotive, twisting, character-based stories but don’t restrict further than that. JF: Four Parts Press with two collections at the formatting stage and about to do an open call for submissions for a charity anthology. I’m also focusing on my first novel – which, in a nutshell, features an American Muslim tattoo artist fighting the cops, Iranian organised crime and a creature from her nightmares all because evil is sometimes only skin deep. Research with tattoo artist and a theologian ongoing, plus outlining. Actual writing starts August. Sounds like you’re going to have an action-packed summer, Jay! Thanks for taking center stage today. The spotlight suits you! And thank you, our loyal blog followers, for stopping by. Leave a comment for a chance to win a copy of Bleeding Ink – A Collection of Dark Tales. 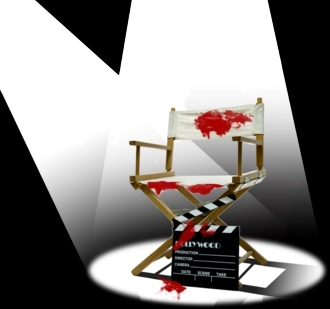 A treat being on your show and fun reciprocating with this spotlight. The world goes round and sometimes we have the opportunity to bump into some mighty fine citizens of the earth! Thank you for this-fantastic insight into a great talent. Looking forward to reading more from him, and the Ink Babes! Congratulations Katherine! 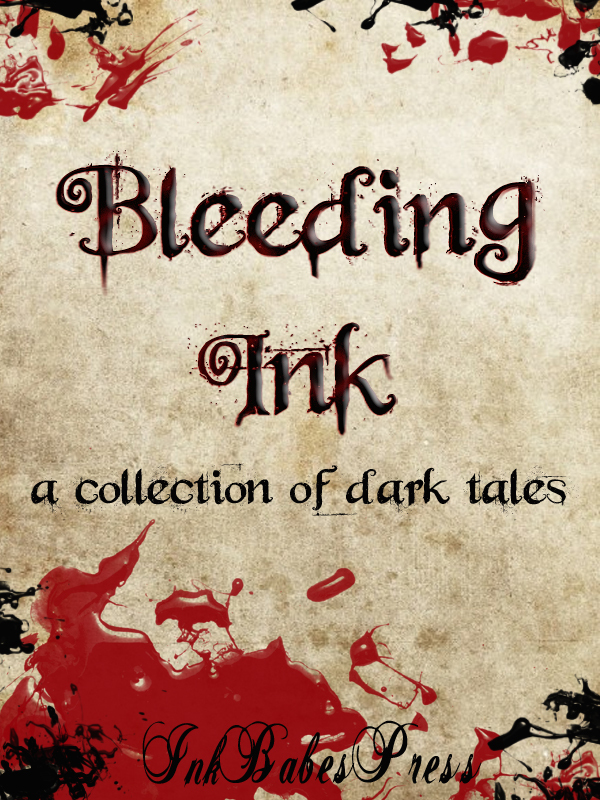 You’ve won a copy of Bleeding Ink – a Collection of Dark Tales. Please email us at inkbabespress@gmail.com to tell us which format you’d prefer, epub or pdf. Thank you for taking the time to comment. We invite you to tell us what you think of the anthology! Wow! Thank you so much – email on its way. I can’t wait to enjoy it. Wonderful insight into a very busy guy! A very well thought out interview! Wonderful of Jay to do the radio show with Tammy & Lisa! Just enough weirdness plus a seemingly endless font of fearful images puts this reader squarely on the edge of her seat…job well done, Mr. Faulkner. Ink Babes – thanks so much for your tremendous efforts!